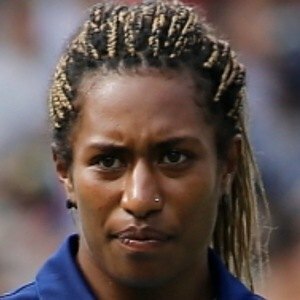 Rugby Union player who was a member of the Australian women's side that won the inaugural Rugby Sevens gold medal at the 2016 Rio Olympics. She has also represented Australian Sevens Rugby at the Gold Coast Sevens tournament. She began her athletic career as a sprinter. She represented Australia in various sprinting events at the World Junior Championships. She competed for Australia Sevens Rugby at the 2015 Sevens World Series. She previously competed for Australia as a sprinter at the 2009 World School Games. Her parents' names are Yolanta and Evan. She and Charlotte Caslick have played as teammates for the Australian Rugby Sevens squad.